We craft authentic wines that highlight the unique character of our own vineyard, Lia’s Vineyard, in the Chehalem Mountains. Thank you for making the effort to find us. We’ve said wine is like music. There are many different genres and styles, and we consider our mood, the company, and what we’re doing when we select the music to play or the wine to open. We invite you to visit us in our tasting room in downtown Newberg, Oregon. We are cheerfully open seven days a week (with prior arrangement) and we are there most Saturdays & Sundays 11-5 plus First Fridays 3 – 9 pm. Check the calendar to make sure we’ll be there (we’re a bit understaffed). We’ll likely be in the tasting room some other Fridays (and Mondays, Tuesdays, etc.) – just drop us a line or give us a call. 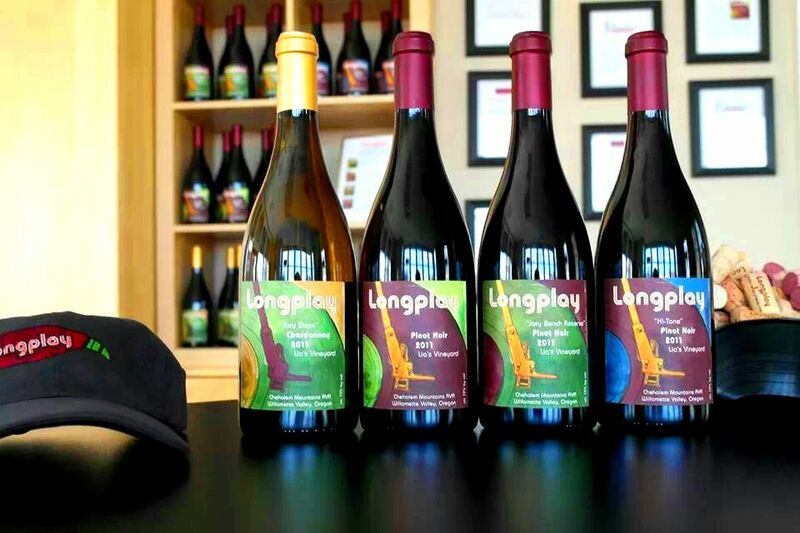 If you can’t make it to our shop in Newberg, you can order our wines from our online shop (assuming you are in a state that allows direct shipping). Order six bottles and shipping & handling charges are just $1.